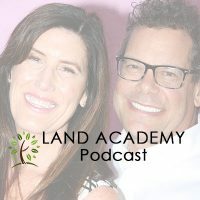 Jack Butala: Welcome to the show today, and this episode Jill and I talk about the differences between the east coast and the west coast with real estate investing. Man, they’re different. We do lots of deals in both places and we’ll talk about what’s a little bit different for us. Jill DeWit: It’s funny ’cause you’re east coast and I’m west coast. Jack Butala: I know. Opposites don’t attract. Trust me. Jack Butala: We’ll get into that in a second. Jack Butala: I don’t think we’re opposite at all. Jack Butala: I think that what drives us is exactly the same. Before we get into all that though, let’s take a question. Posted by one of our members on the LandInvestors.com online community. It’s free. Jack Butala: Just like that. Jack Butala: Let’s take this one at a time. When somebody is negotiating with themselves like this person, where she says, “I’ll take $5,000 with $1,700 in back taxes.” Then they come back and say, you say, “No.” They come back and say, “Oh alright, I’ll pay the back taxes if you get me the $5,000.” You say, “No. I already gave you an offer on my … When I sent it out, it was $3,000.” She comes back and says, “Well, will you take $4,000?” So what they’re doing is negotiating with themselves, and I’m here to tell ya, 15,000, almost 16,000 transactions later, they’re gonna sign you this property. There’s been certain situations where I was directly involved years ago in negotiations like this, and I said, “You know what? If you call me one more time, I’m not gonna buy your property.” So in this conversation that we’re gonna have, I’m gonna tell you that I’m gonna pay $3,000 for it and you’re gonna say yes or no. Nine times out of 10, they say yes. Jill DeWit: No, I love it. Jack Butala: Jill’s just like whatever Jack. Jill DeWit: You just … That was a little rant there. Jill DeWit: So I’m like I’m just … I’m out. Jack Butala: You know what? It was. Jill DeWit: I’m actually stepped aside, I’m not in your way. Jack Butala: Here’s why it was a rant. I hate negotiating. I sent you an offer for $3,000, sign, and send it back. Jill DeWit: Yeah, we’re not negotiating. Jack Butala: By the way, I didn’t know there were $1,700 in back taxes on it, now the offer is $2,000 or $1,000. Jill DeWit: We’re not negotiating because I hold all the cards ’cause I have the money. Jill DeWit: I’m gonna buy it or I’m not gonna buy it. Jack Butala: Jill, thank you. Jill DeWit: It’s not up to you whether or not I buy your property. Jack Butala: Hey seller, just say yes or no. Jack Butala: I don’t care about your children. Jill DeWit: We’re not gonna talk about it, we’re gonna move on. Jack Butala: Yup, and it’s too bad that you don’t like the person that you’re married to, but that’s not why we’re here. Jill DeWit: You don’t wanna say it and be snotty about it, but that’s the reality. Jack Butala: Yesterday, or the day before we were talking about, “Oh boy, we’ll never do that … A good deal like that again.” So what ends up happening, and I really think that if you’re brand new at this, you really gotta look in the mirror and repeat this over and over again. Jill DeWit: I like myself. I am a good person. Jill DeWit: It’s a new day. Jack Butala: Hey Tony Robins. Jill DeWit: Here’s my real mantra in the morning, “Hang in there. One more day.” No, just kidding. Jack Butala: It’s almost the weekend. Jill DeWit: That’s right. He didn’t really mean it. It’s not you. It’s the situation. Jack Butala: It’s not you that he’s mad at, it’s the situation. Jill DeWit: This is how I do business. Jack Butala: Oh my god, that’s hilarious. Jill DeWit: Yes. Sorry, you opened that right up. Jack Butala: Oh, we just turned a rant into something funny. Jill DeWit: I got tears in my eyes. Check. Jack Butala: The fact is this, this situation, the reason that we’re both ranting about it, is because we both been through it seven million times. Jill DeWit: A lot of people. Jack Butala: Eight to ten times that many. Jack Butala: I don’t have time for people negotiating with themselves, or there’s always another deal. Just look in the mirror and say that. There is … Just forget it. Walk away, there’s another deal. Jill DeWit: I’m very comfortable telling people, “This is it. Think about it, sleep on it, call me tomorrow. We’re not gonna talk about this for 20 minutes on the phone. You need to go back and do whatever you gotta do, talk to whoever you gotta talk to. I don’t really care, if you’re interested, call me, if not, I’m good.” That’s it. Jill DeWit: You don’t need a high school diploma to be a real estate agent? Jack Butala: I’ve never … No you don’t. Jill DeWit: I guess not, you’re right. Jack Butala: I’ve never seen a real estate agent that was motivated at all after they got a commission check. Jack Butala: That’s when they’re supposed to take it off the MLS and put the data in and all that, and it never happens. Jill DeWit: Don’t even get me started on bolt brokers. 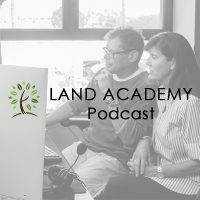 Jack Butala: If you have a question, or you’d like to be on the show, reach out to either one of us on LandInvestors.com. Today’s topic, the differences between buying and selling real estate on the east coast versus the west coast. This is the meat of the show. What do you think Jill? Jack Butala: I think we’re a lot more similar than you think. Jill DeWit: Because you’re from the east coast and I’m from the west coast? Yes, because you know what? You were apparently born and raised in the wrong part of the country. ‘Cause you are … Yeah, no one’s ever fit in like you, Jack. Come on, you get it. You get it … You know what’s so funny here? Here’s the truth about you, you are innately wanna be a hippie just like me. Jack Butala: Yeah I wanna be in control of my own time. Jack Butala: I don’t wanna have to report to somebody. All the normal stuff. Jill DeWit: So you have a lot of innate west coast qualities and that’s one of the reasons I love you. Jack Butala: Aw, thank you. Jack Butala: I didn’t know it was gonna go this way. Jack Butala: Yeah, it’s not gonna fly. Jack Butala: Let’s talk about … That’s exactly right, but anyway, enough about us. Jack Butala: No, it’s all good stuff. Jill DeWit: Well maybe that ties into the way, why east coast is different and west coast too, just weird things that are different. Jack Butala: Here’s a big difference in my opinion. There’s the big difference is … Jill just nailed it. On one of these points, there’s people in the east coast and people on the west coast are very different. They just … There’s different culture. It might as well be France and England as far as I’m concerned. There’s things that concern buyers and sellers on both parts of the country that are very … Incredibly different, so there’s this … There’s an underlying rule … This is on the east coast now. Not even in the [roughspot 00:09:29] where I’m from. Where you have to clash and quarrel in the beginning, and yell before you can become friends. That does not happen on the west coast in any way. On the west coast people are like … They’re checking to see if there are … They’re taking the temperature of what’s gonna be a relationship, and the first plate thing they do is try to out do each other to be nice. Jill DeWit: You go. No, no, you go. Jack Butala: No, no, you go. Jack Butala: It’s just that’s the way it is. In the middle of the country, farm … In the Midwest, the rust-belt Midwest, the underlying system is, who’s suffering more? The person who’s suffering most in the deal is the one who is gonna win. It’s really, really strange. Jill’s right, I prefer, way prefer the west coast way of doing things, where we’re all in this together, and let’s put a deal together where we both win. East coast, yeah, let’s put a deal together so that I’m gonna screw you so that you’re half dead. Jack Butala: That’s just too bad. Jill DeWit: Well the east coast way is there’s so many rules and regulations. Jack Butala: That was my next point. Jack Butala: The other thing that’s real different about east and west are the rules. So there’s lawyers involved in a lot of stuff, in specifically in New York. Jill DeWit: If you really look into some of the laws and statues, they’re technically not required, but they just made it that way that everybody assumes that’s the way it has to be done. Jack Butala: Yeah. So the escrow … If you research their history of escrow and title insurance and stuff, it was create in California. A lot things were created in California because the way that it was done in the east coast, ’cause the east coast is older, is stupid. Jill DeWit: That’s my line. Thank you. Jack Butala: To have a lawyer close your real estate deal. Jack Butala: Let’s create this thing called escrow agent, and we don’t … ‘Cause it’s the same thing. We all go to the county, we get it. There’s no smoke mirror. Jill DeWit: So really, the third party. It’s fine. Jack Butala: Yeah. There’s no smoke and mirrors Mr. Lawyer. Jack Butala: Doesn’t cost $5,000 to buy property. Jill DeWit: Best interests are taken into consideration. Love it. Jack Butala: As sure as I’m sitting here, the same thing’s gonna happen with real estate agents. Somebody, and it’s probably gonna be us, will come up with a system. Our’s is already done, to with the real estate agent in your transaction. It’s right out of 1953, it’s silly. Jill DeWit: Yes it is. Jack Butala: To pay six percent to sell your house, it’s insane. Jill DeWit: You should keep that money. Jack Butala: That’s $20,000 out of $300,000 house. Jack Butala: On a three million dollar house, it’s $200,000. Jack Butala: And three millions not out of the question in Los Angeles, by any stretch. There’s lots … People buy and sell three million dollar houses every day. Jack Butala: And write a $300,000 check. That personally disgusts me. Jack Butala: Used to be that way when you bought and sold real estate, you had to have a lawyer. Somebody came up with the great idea of called escrow. If you’re gonna … My point is if you’re going to invest on the east coast, be prepared and don’t fight this stuff, embrace it, and utilized it and make sure you win. Jill DeWit: I wanna add, so we talked about east coast versus west coast. The way the people are different. Then we … Now we talked about east coast, west coast about the … How the transactions were different. I wanna talk about the properties. Will you please talk about that, Jack? Jack Butala: About the actual real estate? Jill DeWit: Yeah, ’cause that’s an important thing that comes up for a lot of our people, like where should I begin investing? Okay, I get all that, what you’re talkin’ about. Now let’s talk about the properties, why is it easier to do this, and maybe the pricings easier to understand, or lower, or whatever you want. East coast versus west coast. Jack Butala: Sure. Philosophically, because the east coast is older, all this is root in the fact that the east coast is generally older than the west coast. Top property taxes are way more expensive per square foot, east versus west. There’s some … Los Angeles, there’s some markets there where you can say, “No, that’s not true,” and that’s true, but in general that’s the case. Jill and I have a townhouse that we bought during the downturn in Scottsdale, Arizona. The property taxes are $637 a year. This is a really nice place right in old town Scottsdale. The property taxes in the house that we live in, in California at the beach, are close to $6,000 a month. In square footage, it’s not wildly that different. Jack Butala: And then I’ve heard the property taxes in … By the way, the highest property tax market in the world I think is New Jersey. So who the hell wants to live in New Jersey? Nobody, unless you live … Work in New York and then that’s your problem. Jill DeWit: Oh my gosh. Oh boy, we’re gonna … The east coasters … What the heck? Jack Butala: Just made myself laugh. Jill DeWit: This hilarious. Oh my gosh. Jack Butala: So in general, the value of real estate is directly tied to its demand. Right? Is there a lot of demand in Kansas for land? Yeah, because it can grow stuff there. Jill DeWit: Farm land, yeah. Jill DeWit: Why do you … Okay, do you find this … Here’s my question, do you find that people have more difficulty analyzing data and pricing for upper east coast versus southwest? Jack Butala: Oh southwest. No, I think it’s … For me, it’s the exact same process. Jill DeWit: You don’t find … Okay. Jack Butala: Exactly the same process. Every single place in the country. Jack Butala: I look at it exactly the same way. I look at days on market, how fast properties are buying and selling, I look at the variance in pricing, either for sale property or completed sales. Jack Butala: Exactly, no there’s more room, absolutely. Jill DeWit: Maybe you think there’s … Think that there’s something there to that? Okay. Jack Butala: Yeah if you look at … Here’s an interesting fact. If you look at a county map for any state in the east. You look at a county map, there’s only 13 counties in Arizona, 13 or 17. But if you look at, I don’t know, Michigan, or anywhere back east, there’s just a tremendous number of counties and it’s all based on automobiles. So a county seat back then was all horse and carriage, where you can go … If you can ride a horse for one day and get to the next county seat. There’s a lot more space. Jill DeWit: That’s what it was? Jack Butala: Yeah. So Arizona grew up in the ’70s where everybody had a car with air conditioning. It grew up … Arizona grew up around air conditioning, the development of air conditioning, so did Nevada. There’s totally different cultures. Used to be that people that lived west were getting away from something that they screwed up in the east. That’s why they moved out here. Jill DeWit: Yeah, I firmly believe that. Jack Butala: So do I.
Jill DeWit: I agree. We’re outta here. Jack Butala: Yeah, let’s go recreate ourselves in San Francisco. Jack Butala: San Francisco had that relationship that … It’s not that way anymore, now it’s all Silicon Valley, but if you can’t make it in New York, move to San Francisco. Jill DeWit: That’s was funny. Jack Butala: That was a whole thing back in the ’50s and ’60s. Jill DeWit: It’s so funny. Why is the east coast still think west coast are a bunch of nuts? Jack Butala: I think there were some hippie truth to that in the ’60s and ’70s, and maybe in the ’80s. But with the internet, and Silicon Valley and all that, and Bill Gates, and … I just think that it’s just simply not true any longer in any way. Jack Butala: My dad was born in ’30s and this is a conversation I had with him recently. He said, “Why would I ever want to come to California ever? There’s a bunch of hippies there, it’s all liberal.” So my response was this, “I’ve never met more intelligent, thought … Kinder, more successful, financially successful, and education for their kids and whole thing. Schools are fantastic out here by the way, in my life, every place I lived than Los Angeles.” That’s the truth. Jack Butala: Honda, on, and on, and on. Huge. Jack Butala: For California, if the economy itself was a country. If California was a country, it’s economy would be number nine in the world. Jill DeWit: Yeah, and the weather’s better. Jack Butala: Their answer’s always the same. My family’s here, or where’d I get my dry cleaning done? Jill DeWit: That’s the funniest thing. I love that answer. It’s silly, whatever. Jack Butala: That just tells me, you should probably actually stay there because if you can’t figure dry cleaning out, this is gonna be a mess. Jack Butala: Anyway they’re real different. Embrace the differences, don’t fight ’em, and if investing in New Jersey doesn’t work for you, just keep moving west, and vice versa. If investing in Nevada seems silly to you, keep moving east. Jack Butala: Join us in the next episode, where we discuss self confident offer campaign pricing. I wrote that title, I like it. Jill DeWit: And we answer Matt’s question about how to build a buyer’s list. Love it. Jill DeWit: That was good. That was long. Jill DeWit: It felt long. Jill DeWit: It was ranty. Jill DeWit: No, no, but I like it ’cause I wanted to talk … I wanted to cover all the different things east coast, west coast ’cause it comes up. This pricing thing that we’re gonna do coming up, is gonna be good too. Jack Butala: Yeah, they actually might be. Jack Butala: There’s just as much opportunity in both places. Jill DeWit: Riverside, California, how’s that? And Manhattan, New York. It’s the same concept, so thank you. Hey, like our show? Please subscribe and rate us on iTunes or wherever you are listening.